Amazon offering ad-supported free music streaming to Alexa owners in the U.S. The upmarket Japanese-fusion restaurant chain Nobu is expanding into Canada as part of a combination hotel and condo complex in Toronto. 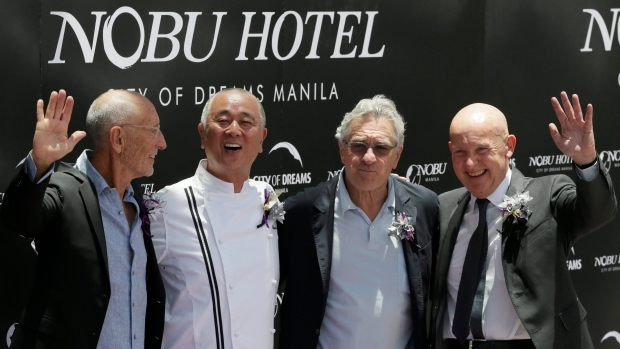 The brand -- founded by chef Nobu Matsuhisa, Academy Award winner Robert De Niro and Hollywood producer Meir Teper -- is building two 49-storey towers, which are set to include 700 condominium suites, hotel rooms and a 1,400-square-metre restaurant. The first Nobu restaurant was launched in New York in 1993 and the brand has since expanded to cities including Beijing, Dubai, Las Vegas, London, Melbourne, Mexico City, Moscow and New York. Nobu hotels are found in cities including Chicago, Malibu, Calif., Manila, Miami and Riyadh. Toronto is the first city to have a restaurant integrated with Nobu-branded high-rise residences and a hotel, the company said Wednesday in a release.